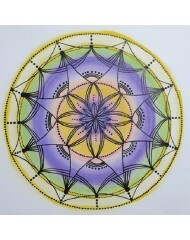 Title- Calming Vision This intuitively hand drawn Mandala holds significant meaning for .. Simplistic by design yet so stunningly eye catching and very versatile to wear. 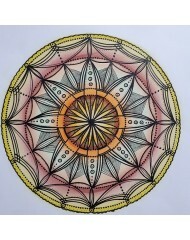 The openspira..
Titled- Unlock This intuitively hand drawn Mandala holds significant meaning for those w..